The Chinese government has once again cracked down on Chinese microblog services Sina Weibo and Tencent Weibo, after it temporarily banned the comment features on both services following their role promoting speculation of an impending political coup. Unlike Twitter, users of the Chinese services can comment on messages — in the same way that you can reply to a blog post — however the option is shut off until April 3, in response to discussion of the potential ramifications of recent political changes in the country. Any regular user of Sina Weibo will come into contact with the effects of the ruling, as a short notice explaining the temporarily shut-down is shown to anyone who tries to comment on a message. The comment feature is less influential than retweets (which have been left untouched) which suggests that the move is a threat, to show what authorities could do, rather than a move to restrict the spread of rumors per se. Knocking out the option to retweet would massively impact the spread of news on Weibo but this approach gives Sina and Tencent a strong reminder that they must better ‘control’ their services, or face the consequences. China watchers were alerted to possible restrictions by a report from Xinhua [Chinese], the country’s official newswire, on Friday. The agency said that Sina and Tencent were among a number of Web firms to be “seriously criticized and punished accordingly” for spreading ‘unfounded rumors’, as Tech in Asia reveals. China regularly restricts the search feature on microblogs to stop the spread of news it would prefer kept quiet, while each service’s ‘Rumor Control’ teams work to locate and delete sensitive comments from user. However, the country’s ruling officials — who are known to be wary of the power and disruption of Weibos — have now introduce this significant new restriction. Microblogs are not alone in receiving treatment and the BBC reports that 6 people have been arrested and 16 websites shut down for spreading rumours of “military vehicles entering Beijing and something wrong going on in Beijing”, according to Xinhua. The restriction comes two weeks after the government introduced ‘real-name’ regulation to cut down on usage Weibos by anonymous users, in a bid to increase accountability and lessen the discussion of rumor. 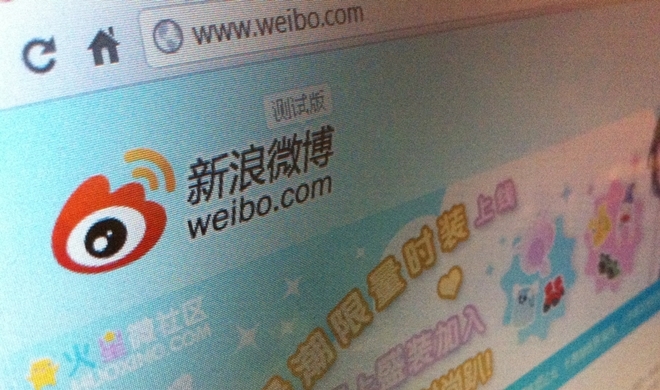 According to the new rules, Weibo users must verify their account with documentation that proves their identity to enjoy full publishing rights. However, little impact has been felt and many unverified users can still use the service without verifying their identity, for now. The move to disable comments shows that the government is keeping an eye on microblogs and is not afraid of making moves to impact them. While it is unlikely that it would close down Weibos — which are used by more than half of China’s 500 Internet users — such would be the backlash, future restrictions seem likely unless Sina and Tencent can iron out the issues. This climate of government intervention is a factor that Western social media like Twitter and Facebook would almost certainly have issues tolerating. While the Chinese market is lucrative, Twitter is adamantly anti-censorship — as is reflected in its censored tweets feature — and Facebook is already unsure if it can adapt to China’s demands.